Hi friends and happy Friday! I hope your week was a great one! As I said on Wednesday, I’m slowly getting back in action after being gone last week/weekend. I had the best time and have come home and totally hit the ground running in all aspects, SO, I am looking forward to a bit of rest and relaxation this weekend! Plus, it was Mr. Fancy’s birthday on Tuesday, so we are having a little celebration for him tonight! I’m super excited to be back with my Friday Favorites series! 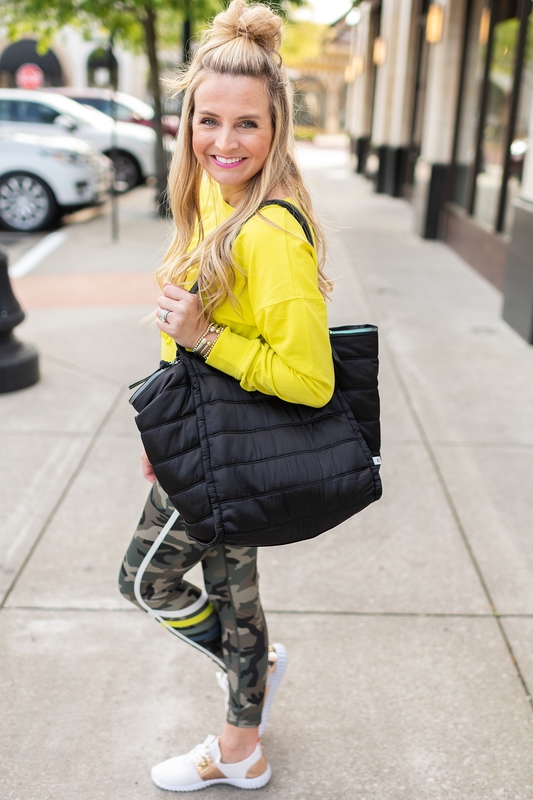 This is where I share what I am loving each week and any topics that you must check out in case you missed them! I have lots of favorites today, so grab a cup of coffee, some wine or a mimosa and check these out! 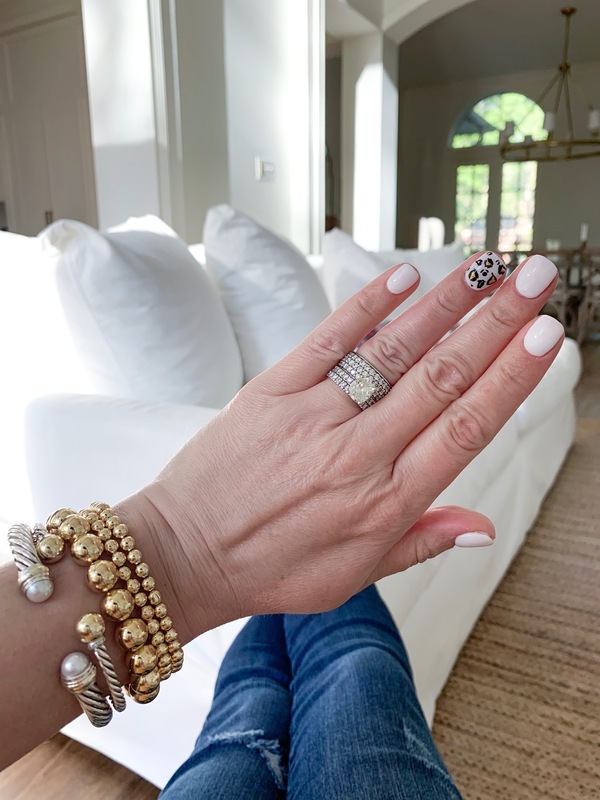 Have you seen my recent bracelet stack? I am obsessed with this SET especially. It actually sold out and I finally found it again!!! YAYYYYY! 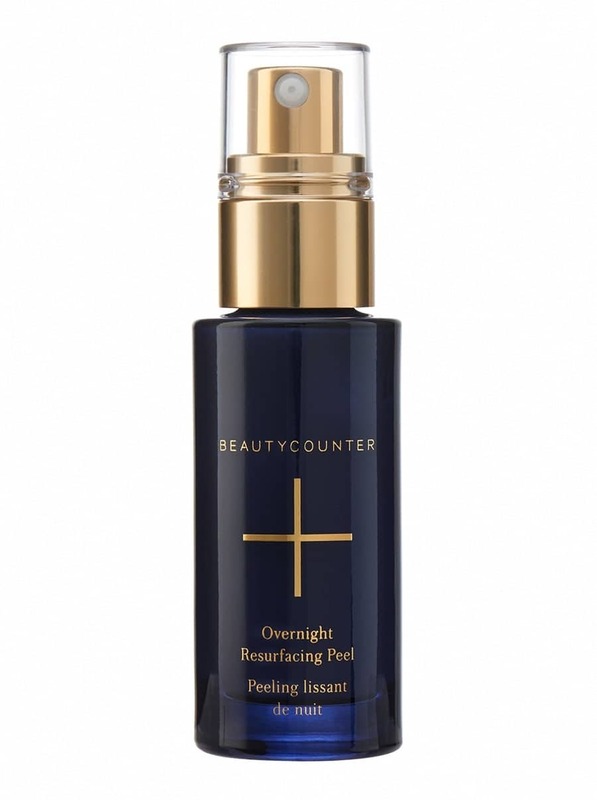 Overnight Resurfacing Peel– with all my travel and eating and everything recently, my skin has just been BLAH and dry and not thrilled with me. Enter this little miracle product. This stuff really does help overnight. The name is a bit of a confusing topic because it doesn’t actually peel your skin, so don’t stress over that! You can use this 3-4 times a week and sleep with it on. It’s seriously such an amazing product. If you are looking for a skin brightener, spot remover, fine line minimizer, this peel is for you! 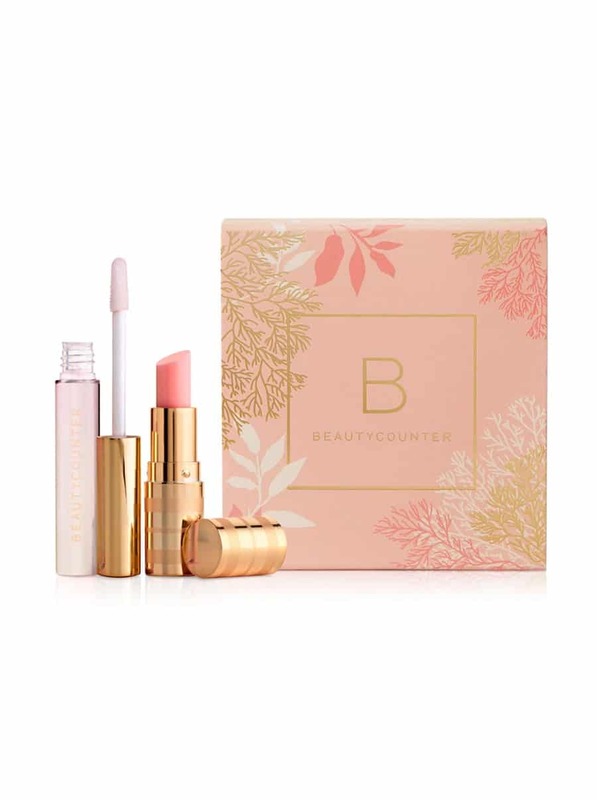 Here’s what Beautycounter has to say! “Goodnight, dullness. Good morning, glow. Formulated with 15 botanically-derived acids, this leave-on AHA/BHA peel improves skin texture and minimizes the appearance of pores, fine lines, and dark spots without irritation or over-drying. Glycolic, lactic, and malic acids clear away dull surface skin cells, while hyaluronic acid and essential fatty acids soothe and nourish to reveal a brighter, more youthful-looking complexion. Are you sold yet? It’s so good! Grab it HERE and try it!! Embroidered Top – This top is such a spring must! Do you own it yet? I’m wearing the size XS and I am 5’2! It’s fits perfectly and I just love it for spring and summer! 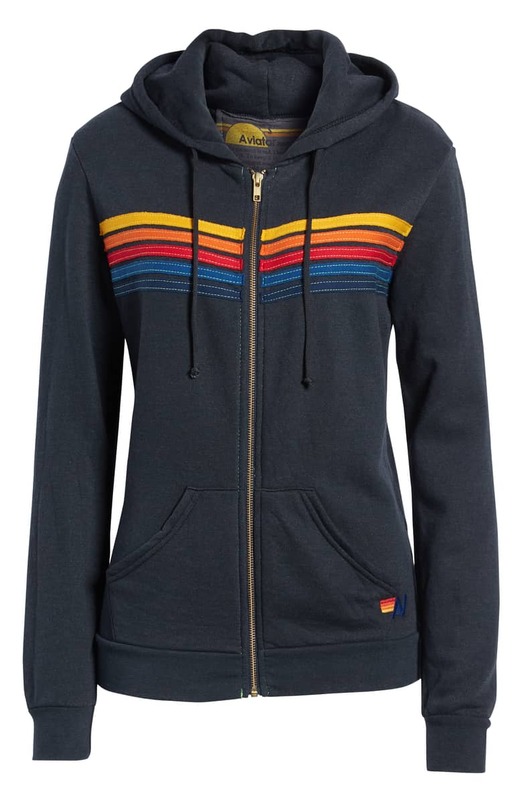 Stripe Zip Hoodie – these hoodies are a total splurge, but I have completely fallen in love with them. Aren’t they so cute? Kite Sleeve Wrap – This kite sleeve wrap is so pretty! 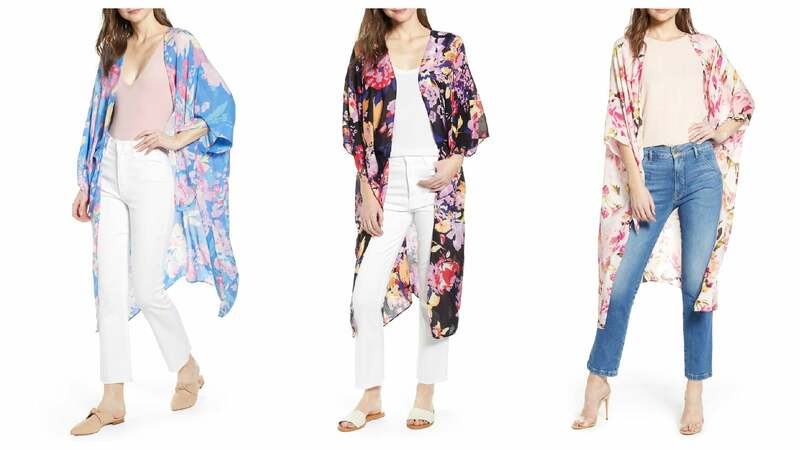 I just love these for spring! Whats your favorite color? Mine is the light blue wrap! Low Profile Wedges – These babies are back this year and ready for action. They come in a leopard print this year as well! Transforming Lip Duo– This was a huge seller this fall and sold out almost immediately! I am so excited to say that is it back for a limited time! I know a lot of you missed this the first time around and I’m hoping you’ll scoop a few of these up before they’re gone again! The mini lipstick gives you the perfect shade of sheer pink for your complexion and you can top it off with the crystal lip gloss! This is a perfect way to bring out your natural lip color! This set is perfection for adults, teens, tweens, little girls, etc! Reagan and I both love and use this and you better believe I’ll be ordering a few of these so we aren’t without these items again! Grab yourself a few sets here! I’m still living in my Walmart workout gear. If you haven’t tried these products yet, you should! Great quality and I can’t quit wearing this stuff! Here’s a little back story for you! 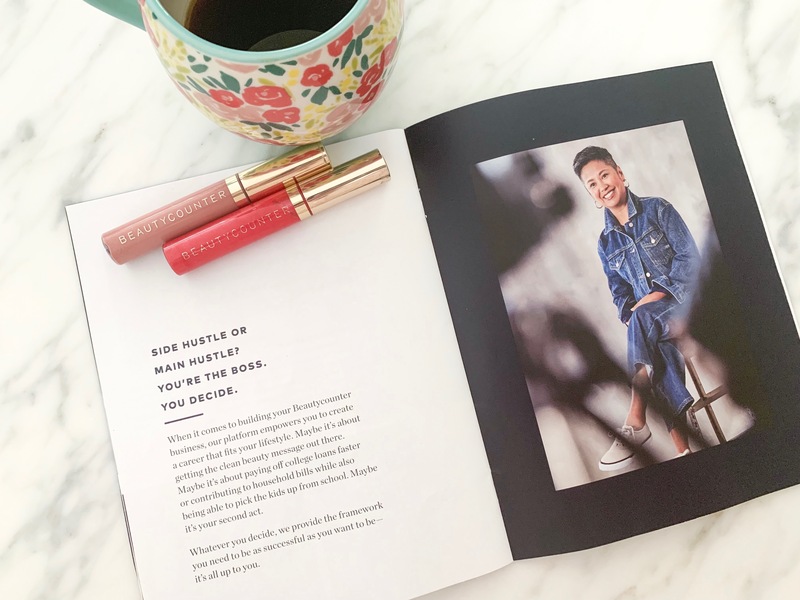 So, when I first started with Beautycounter, my intention was not to grow a team…I truly love and use these products daily and I love the mission. I love that we are incorporating safer products into our daily lives. That being said, about a year into my business, I really saw the potential and privilege that I have to help other women (and men) start their own businesses. I have loved helping and watching other women flourish and have successful businesses. That being said, I would love to chat with you about starting your own business if it’s on your heart. Do you want to quit your full time job, work from home so you can be with your kids more, pay off debt, pay for college, just want a discount of the products? Either way, there’s a seat at our table for YOU! 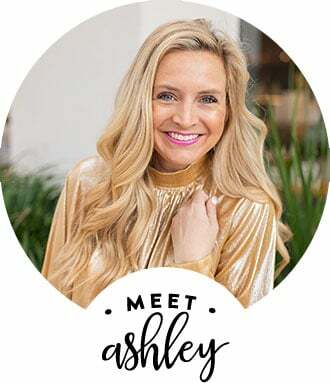 I am passionate about helping other women find themselves in general and that’s what I’ve always hoped top accomplish here at Fancy Ashley and I think for some of you, I could really help you to start a successful businesses and would truly love to have you join us if you’ve ever wanted something like this, just for YOU! Take 3 minutes and watch this video that you can find below. If you’re on the fence, I think you need to see this! If you want to join us, you can do so HERE. You can also email me at [email protected] to chat more. I would love to watch so many of you have amazing and rewarding (financially and personally) businesses! Ask yourself, “why not? !” and let me help you get started! That’s all I’ve got for you today! I hope you have a wonderful weekend! If you haven’t signed up for my weekly newsletter yet, be sure to HERE! I have some great stuff coming to it!! Have a happy weekend! XO! 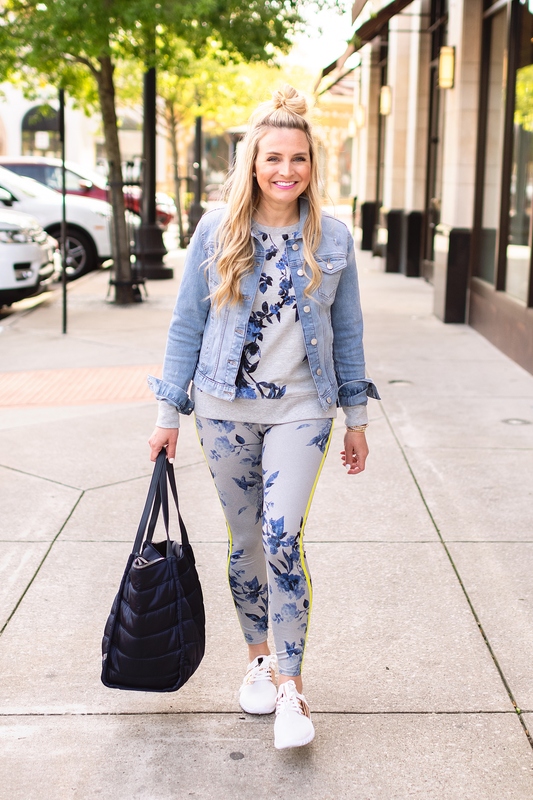 If you liked this post, you’ll love Splurge vs Save and 10 Outfits to Wear This Spring.